It’s cozy in our Tasting Room in Murphys! 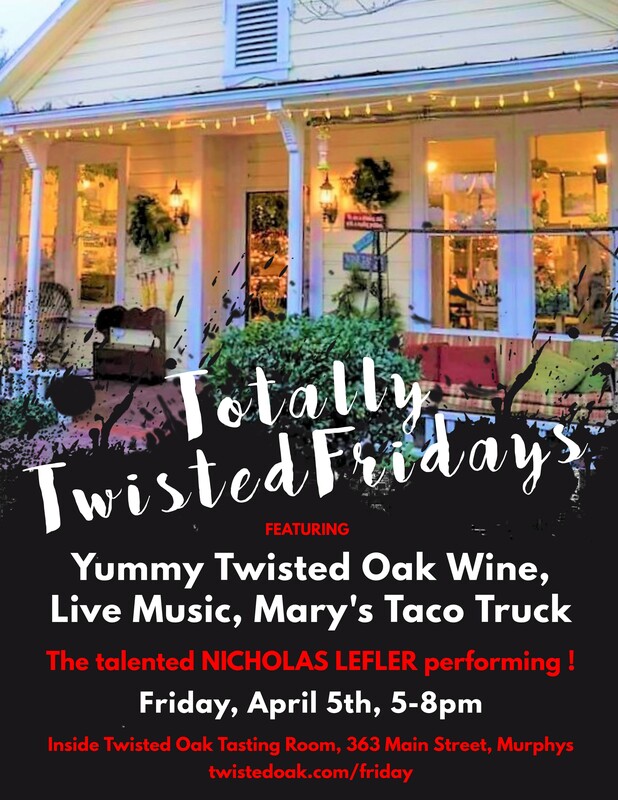 Enjoy the talented Nick Lefler! Mary’s Taco Truck will be parked out front. Delicious! A fun night at Twisted Oak Tasting Room! Spring & Summer are coming; getting The Enchanted Garden ready for more Totally Twisted Fridays outside!